Lightolier CorePro LED Collection Frame-in kit housing accommodates LED lamp to deliver superior lighting performance. This IC frame-in kit housing features formed aluminum construction. It has a dimension of 12 - 24-Inch x 10-1/2-Inch. 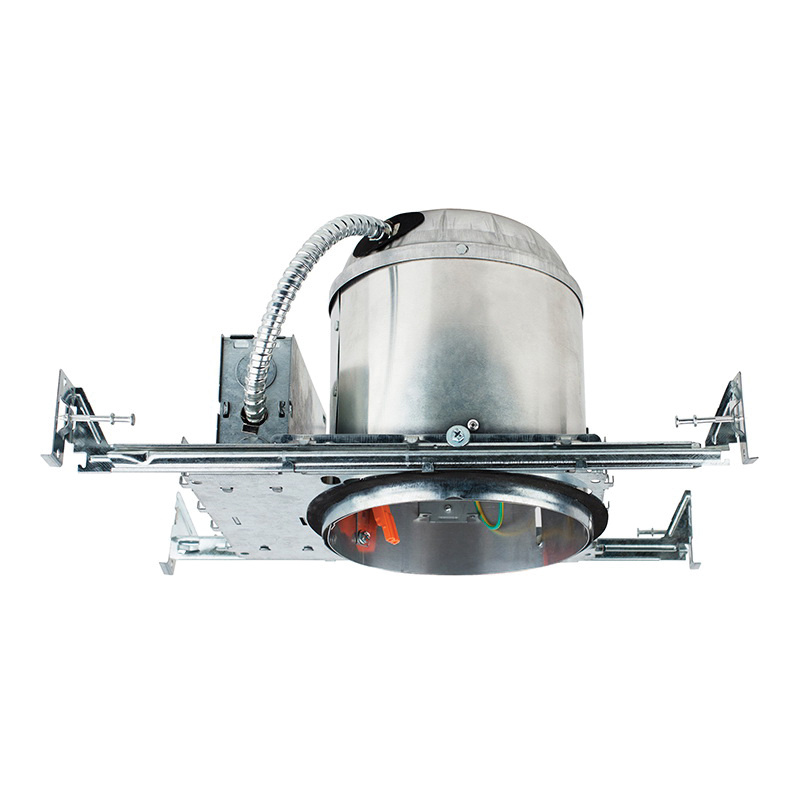 This round shaped housing is compatible with 5-Inch trim and supports easy mounting on insulated airseal ceiling. The junction box of this housing is made using galvanized steel and comes with two snap-on covers as well as grounding pigtail. It is suitable for use in residential, hospitality, food and large retail applications. Housing is cULus listed, Energy Star certified and RoHS/Title 24 compliant.